Alejandro Valverde plans to apply pressure in final mountain stages as Simon Yates clings to 25-second advantage in Vuelta overall. 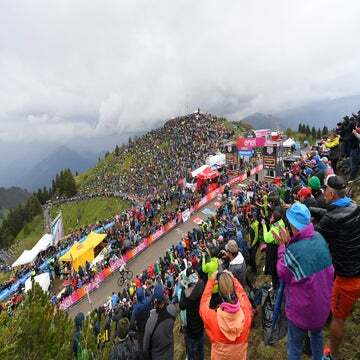 Simon Yates (Mitchelton-Scott) is two mountain stages away from his first grand tour victory. He’s been in this position before, but this time, he’s confident the story will have a different ending. 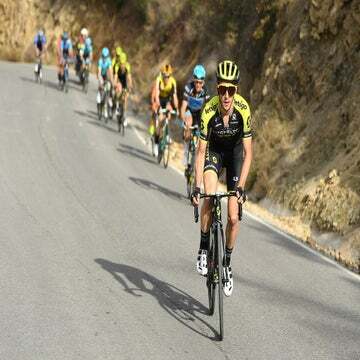 Yates got through stage 18, which he called the easiest day so far in this wild Vuelta a España. With Friday’s and Saturday’s climbing stages in Andorra standing between him and Madrid, the Englishman is ready. Yates and Co. got through Thursday’s sprint stage with no major hiccups. He’ll start Friday’s stage with a 25-second head start to Alejandro Valverde (Movistar). The Spanish team promises to throw everything at Yates to see if he will crack like he did at the Giro d’Italia in May. With Nairo Quintana a bit further back, Movistar is poised to send attacks often and early to try to disrupt Yates. Yates remains confident he can fend off a Movistar onslaught without forgetting other riders lurking in the overall GC. Friday’s La Rabassa climb is the longest of this year’s Vuelta, but it’s one that Yates knows well. He lives and trains in Andorra and will be riding to defend his slender lead to Valverde. Movistar is expected to pile on to at least have a chance to challenge for the stage win. With time bonuses at the line, Movistar will want to set up Valverde to sprint for finish-line bonuses. Valverde pipped Yates in Wednesday’s uphill finale in Spain’s Basque Country to claw back eight seconds. Yates was nonplussed by Wednesday’s minor losses and expects to stand tall Friday. In a race with such small differences, time bonuses could be a major factor. With 10-, 6-, and 4-second time bonuses waiting at the line, Valverde’s fast finishing speed will be another threat to Yates. Another factor will be rowdy Spanish fans cheering along Valverde, who is poised to win the Vuelta for a second time following his victory in 2009. Andorra, of course, isn’t part of Spain, but could the nearly “home road” advantage be in Valverde’s favor? Movistar isn’t giving anything away, but it’s obvious that the team will have a strategy to try to blow up the Vuelta and put Valverde into the top podium spot in Madrid. Quintana is a tad more than two minutes back, so that means the Colombian could play a major role in disrupting Mitchelton-Scott’s defensive strategy in the final two mountain stages. Without looking past other rivals, including Enric Mas (Quick-Step), Miguel Angel López (Astana), and Steven Kruijswijk (LottoNL-Jumbo), Yates knows his first worry is keeping tabs on Movistar’s aggressive moves. Mitchelton-Scott has its own secret weapon in the form of Adam Yates. The twin brother of the Vuelta leader was fourth overall in the 2016 Tour de France and has been keeping his powder dry for this weekend.